"One star never moves and it is sacred. Other stars move in a circle about it, they are dancing in the dance circle." That star is called the North Star in English and Wičháŋpi Owáŋžida, the star that does not move, in Dakota. Mnísota is the homeland of Dakota people. Wičháŋpi means star. Owaŋžida means "staying permanently in one place" if you accent the second syllable (waŋ). Also Owaŋžida means "together, in unity, as a team, to have something in common" if you accent the first syllable (O) instead of the second syllable (waŋ). 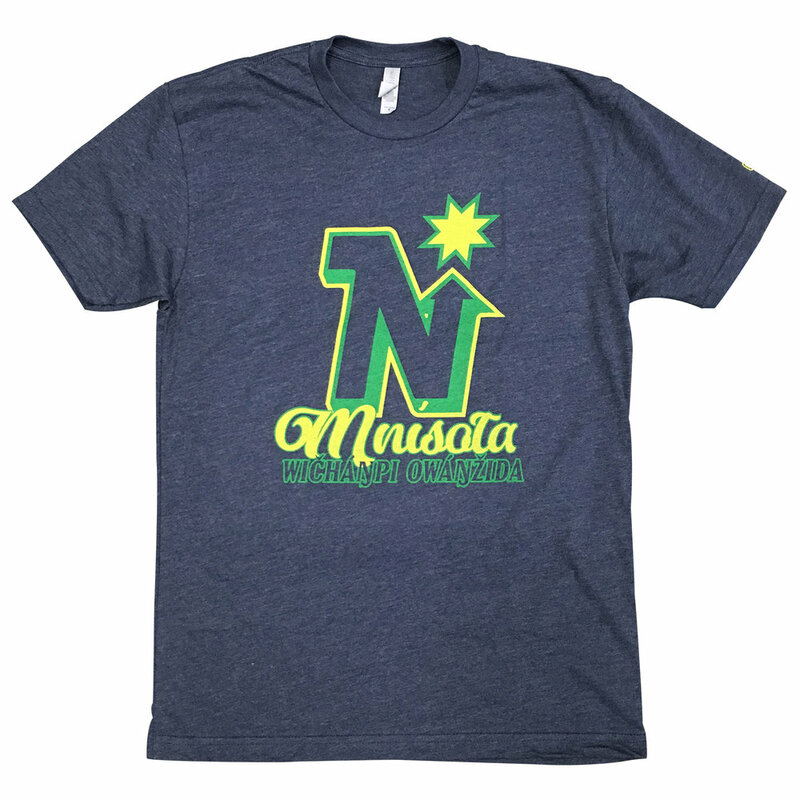 To me, it's a play off of the old hockey team but also represents how everyone of all different backgrounds come together in unity to call Minnesota home, just as Dakota people have for centuries.